It is easy to overlook the advantages of plastic grocery bags due to the perception that they are environmentally unfriendly. While they certainly have ecological drawbacks, plastic grocery bags can be beneficial to retailers, consumers, and even the environment. Retailers for have favored plastic shopping bags as long as they have been available-about 50 years. The main advantages of plastic grocery bags are that they are cost-effective, easy to use, and convenient to store. Plastic bags are available in bulk purchases at a fraction of a cent per piece. In contrast, paper bags typically cost 5 cents or more per piece. Reusable cloth bags, which are gaining in popularity as environmental sustainability becomes a more widespread concern, can cost as much as a few dollars each. In large volume, plastic bags have obvious overhead cost benefits for stores and their profit margins. 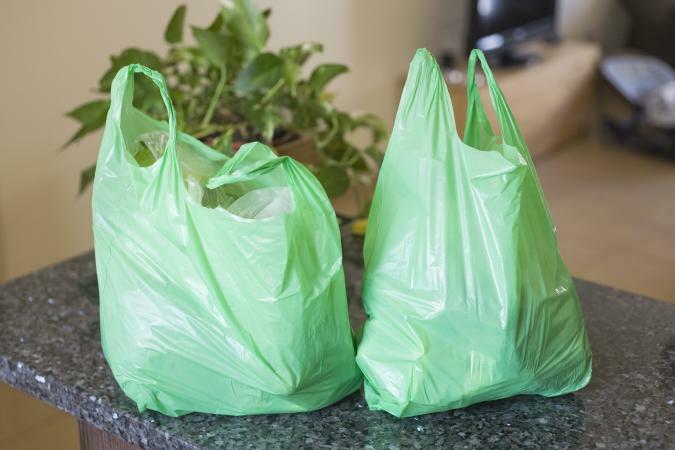 In addition, plastic bags are quicker to open, pack, and double up than paper bags. While those few seconds may seem nominal, for busy cashiers, this can help keep lines moving efficiently. Plastic bags also require less space than paper bags, both in storage and at cashier stations, and weigh about one-tenth as much. Reusable bags take up the most space, and while their weight varies, they are all considerably heavier than plastic or paper bags. Conveniently enough, just as retailers have found plastic bags to be a better option than paper, so too have consumers. The numbers speak for themselves: according to the U.S. Environmental Protection Agency (EPA), Americans use 100 billion plastic shopping bags annually, and the American Forest and Paper Association estimates that Americans use 10 billion paper shopping bags each year. Plastic bags are more durable than paper bags. They are less prone to tearing, easier to carry, and are far more useful in the rain. Plastic bags are reusable for a variety of purposes, with many people using them as trashcan liners or to pack and store miscellaneous items. Plastic bags last considerably longer than plastic bags and be rinsed out and repurposed, unlike paper bags. There has been much disagreement over whether paper or plastic shopping bags are more detrimental to the environment. The truth is, each has advantages and disadvantages when compared to the other. There are several important ecological advantages of plastic grocery bags over paper shopping bags. Because they weigh so much less, they contribute far less solid waste to landfills when not recycled. According to the EPA, paper bag production requires 40 percent more energy than the production of plastic bags. Paper bag manufacturing also results in 50 percent more water pollution and 70 percent more air pollution than plastic bag manufacturing. One of the more compelling arguments against the use of plastic shopping bags is that marine life commonly mistakes them for food, and that this results in the death of 100,000 marine animals and 1 million sea birds annually. However, this argument is false. The myth originated from a 2002 study on plastic bags (pdf) commissioned by the Australian government. In the report, the authors misquoted a previous Canadian study from 1987. The animal deaths cited were actually attributable to fishing lines and nets, not plastic bags. Reuse your plastic bags as much as possible. Recycle the rest. By recycling, consumers can avoid many of the drawbacks of plastic bags, such as their contribution to litter and their inability to biodegrade when discarded. There are numerous advantages of plastic grocery bags, and by recycling them diligently, consumers can profit from their use in a more environmentally sustainable manner.